Decorative plates are a great way to express your personal style and choice. They are simple to make, so give your creativity a leap and make whatever you want with them. With a little skill, thought and inspiration, you can turn any image that inspires you into a piece of art. Display your talent for others to appreciate. 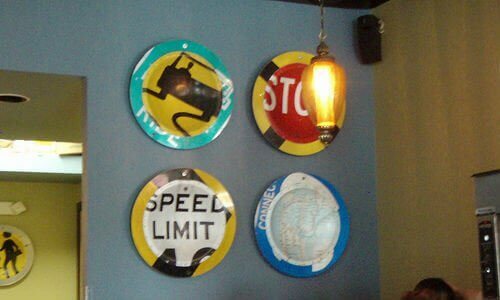 Here is how to make a decorative wall plate. Buy a clear plate from a crafts store. These plates are available in different sizes, so pick the one that you wish to you. On the other hand, if it a wall project, then pick different sizes in a pattern you want to display on the wall. Then select a picture to use for the project. This could be anything that you like family photos, nature, animals, a pattern etc. You can also choose a assortment of photos to display. Now using the computer, crop or enlarge the size you want. Print out the paper copy of the photo/photos. Trim the photos, if needed. On the back-end of the plate, use a foam brush to evenly spread, a layer of Mod Podge. Position the photo in the center of the plate and bring it at eye level to ensure that the photo is placed and positioned correctly. Use the foam brush to release out any bubbles between the photo and plate. After that cover the entire photo with another layer of Mod Podge and let it sit till Mod Podge dries out. Once dry, choose a decided color to paint the plate. When the paint dries up, coat it with Mod Podge to protect the paint. Do share your experience doing this. Or if you have already done this, share your method with us.